The aim of this book is to bridge the gap between the theory and practice of teaching language for communication. It is written primarily for teachers who wish to adopt a communicative approach and would like to reflect on the principles that underlie it.It begins by discussing the theory of language which underpins the communicative curriculum, viewing language as a structural system whose main function is to enable communication to take place. 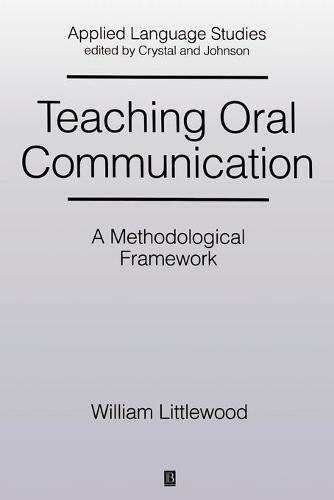 It goes on to present two apparently conflicting accounts of language learning - as a form of skill learning and as a natural process developing through exposure and use.William Littlewood explores how these two forms of learning might be integrated into one framework which can then form the basis of a methodology for teaching communication skills. In the final part of his book he draws up the framework of this classroom methodology and concludes by considering what must permeate this methodology if learners are to be fully involved in the learning that goes on in the classroom.